Last October when we held our Information Sharing Day, we had pictured ourselves hard at work this summer in our community food garden, planting, harvesting and enjoying the fruits of our labours. However, as you will be aware this is not the case. In previous newsletters we outlined our plans to bid to WREN for funds to develop the land. We require this funding because we need significant infrastructure to cap the site before we can safely work the land, due to the soil’s poor quality and contaminaion. To grant funding WREN require a minimum 7-year lease from Bradford Council. Unfortunately after much negotiation, Bradford Council has declined to grant this, offering at most a 2-year lease. Their main reason for this is the uncertainty surrounding the future of the Fire Station. At some time in the future the Fire Station may move elsewhere, and the land might be sold for development. 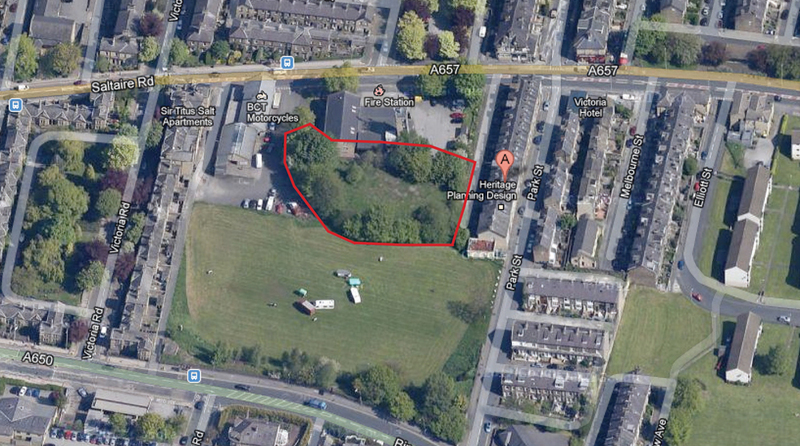 The land next to the Fire Station – our proposed site – could be part and parcel of any deal. Obviously, this is very frustrating. We are totally committed to this project and have worked hard to make it a reality, already overcoming a number of hurdles. So to be stalled by something that may or may not happen some time in the future is very disappointing. Councillor Andrew Thornton (Executive Member BMDC, responsible for Environment, Sport and Sustainability) on site to explain our position. Cllr Thornton has now decided to wait until the position on the Fire Station becomes clearer before reconsidering the leasing options. There is no timescale to this so we shall have to wait and see. In the meantime our green fingers are itchy to get into the soil, so we are starting to look for alternative sites, which might be suited to an adapted or interim version of our design. Our first points of contact will be social housing provider Incommunities, and Saltaire World Heritage Site. If you have any suggestions for other stakeholders that we might contact, or you’ve noticed some unloved wasteground nearby that could be transformed into a community food garden, we would love to hear from you. We’re still looking for enthusiastic people to join our regular meetings to help make our vision happen – if that sounds like you, please do drop us a line. Enjoy the rest of the summer, and we’ll be back in touch with more updates in the autumn. This entry was posted in News and tagged Bradford, Community Food Garden, Saltaire, Saltaire Road, Shipley, Shipley Fire Station, Veg on the Edge on August 12, 2014 by Veg on the Edge.